Low self-esteem is an issue many teens face. If you have wondered how to raise self esteem but just didn't know how to go about it, this recent interview with Dr. Vicki Panaccione can help. 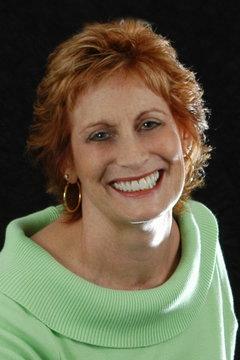 Vicki Panaccione, Ph.D., aka "Dr. Vicki" or the "Parenting Professor," is the founder of the Better Parenting Institute. She is a passionate and dedicated child psychologist who, for the past 25 years, has devoted her career solely to the emotional well being of children and teens. Having been interviewed and/or quoted in major publications and web sites, including The New York Times, Eyewitness News, Parenting Magazine, Reader's Digest, Newsday.com, Good Housekeeping.com, and WebMD, she currently serves as an expert for MTV/Nickelodeon's site, parentsconnect.com. She believes she was put here on this planet "to help and support parents to raise happy, successful children…and enjoy the ride!" Vicki Panaccione (VP): Self-esteem is basically the underlying beliefs we have about ourselves. These beliefs, gathered over time, help us assess our performance and qualities while still feeling unconditional acceptance. Healthy self-esteem is the stuff inside that can recognize, "I really screwed up! But I'm still a great person." It is one's self-esteem that helps learn lessons from mistakes rather than taking errors as wounding arrows. LTK: What is low self-esteem? VP: Low self-esteem occurs when one does not develop a solid internal belief in oneself. As a result, these kids come from a negative perspective and therefore do not believe in themselves and their abilities. And, any positive feelings they experience are gleaned from the outer world. So, there is total reliance from external factors for internal approval. LTK: How can a teen raise his or her self-esteem? VP: What can be done? First is to listen to the inner messages. What am I saying about myself, and why? Where did those negative messages come from? Oftentimes, they have developed in an environment of criticism, ridicule, bullying, or failure. These experiences tend not to have been balanced at all with praise, affection, and experiences of success. So, the view can be very one-sided. These negative messages can be refuted, with counter-arguments: "OK, I screwed up that test, but my other grades are A's and B's. I know I am a good student. I gotta give myself a break!" It's crucial to realize self-esteem comes from within. If you don't feel it internally, no matter what others say, it won't get in. Or, it will get in briefly and fade painfully. It's like having a bad hair day. If I think my hair looks terrible, and you tell me how great it looks, it won't get in. Because I already KNOW it looks terrible. Such is low-self-esteem. To raise self esteem, there has to be on-going positive, realistic feedback, support, permission, nurturing and belief to help a child truly begin to believe in himself. Kids can take a look at the things they believe about themselves and beg the question: Is that true? With guidance and support, parent and child can help replace some of the old negatives with some new positives. This is especially true for mistakes. Kids need to learn to take the risk, even if it means failure, and feel good about the attempt. If they never risk, they certainly won't make a mistake---but they will never have progressed, either. LTK: Is there anything a parent can do to help their teen overcome low self-esteem? Teens, by nature, will find something about which they can be self-critical. They can be too short/tall, have curly/straight hair, etc. Not many pubescent girls or boys are happy with every part of their appearance. Body image and self-esteem begin to develop at a very young age. So, the sooner the positive messages can begin to be learned, the better. Body image and self-esteem are tightly linked in this age-range. And because this is the age of social relationships, how others view them is paramount. Teens need to be taught that comparisons are futile. Some teens develop earlier than others (those that do are self-conscious, and those that don't are self-conscious! ), and many teens feel insecure for the very same kinds of issues. This is also the age where parents need to be very careful about criticizing their teen. Disapproval of their attire, their hair, whether they wear the same clothes a day or two, can really have a negative impact. Additionally, making comments about acne, looking fat in an outfit or even saying things in jest or with sarcasm can throw them into a tizzy. Focusing on what's going right in their lives can also help put image-issues into perspective: getting her permit/driving, allowed more privilege/trust from parents, working/babysitting/making money, being on the debate club, voted to National Honor Society. Also comment on the efforts and not just the results. You can't have results without lots of efforts! A girl or boy can have a great body, and still not feel good. Finding the beauty within will definitely bring out a positive self-image and a more positive social presentation. Help girls recognize what they have control over (changing hair color, for example) and what they don't (growing breasts! ), and allow her to make realistic choices in appearance. Not just what they can DO but also who they ARE. Believing in your teen will take him or her into the stratosphere. Girls watch their mothers and use them as models for how they should behave, define themselves, etc. If a mother practices good self-care, the girl will learn to do so. However, many mothers put their needs on the back burner to care for their children. They are actually sending the unspoken message that woman aren't important and are second-class citizens. Of course, if Mom treats herself that way, it is easy to understand why the girl may not feel that she should deserve respect either. Parent/child activities are very important, again from an early age on up. If the relationship is already established, then there will be a relationship to build on when the girl or boy is a teen. It is unrealistic to expect the relationship to suddenly develop when they turn 13. Sharing activities, hobbies, and interests can help teens feel special. And activities not involved with looks or body shape are the most important. Teens need to grow up feeling good about what they can do, and not how they look. LTK: Can low self-esteem lead to depression? VP: Absolutely. Not feeling good about who you are can be very depressing and anxiety-provoking. Some try to cover it up by pretending to be happy and free-spirited but are totally fearful of failure or discovery. Others end up acting out in some way, such as bullying or defying rules; if they purposely don't follow the rules, then you can't know they are terrified of trying and not succeeding. Still others develop a sense of helplessness, always needing someone's help to do or to succeed. They don't try without help; therefore, when they succeed, they can't take credit for the success either! LTK: How is depression different from feeling "down"? VP: There is a difference between being depressed, and being 'down.' We all have periods of 'down' in our lives. Usually, they are directly related to an external factor: failing a test, striking out at bat, being teased. We can also feel 'down' if something really sad is happening: someone is sick or died, there is a major change coming (i.e. a move or family crisis). Other times, we can experience periods of 'down' for no real good reason; but they don't last very long. Teens with raging hormones can find themselves 'down' and not sure why. It isn't really considered depression unless one of two things occurs: there's a severe change in behavior or the behavior occurs over an extended period of time. Certainly, any thoughts of harming oneself or killing oneself should be immediately attended to. If someone is having thoughts of suicide, it does not always mean they want to die. However, if these thoughts have surfaced, it is a serious indication a child/adolescent psychologist or other specialist should evaluate the potential risk. The same thing is true for self-mutilation. Anyone who is cutting on herself or causing harm in any way has a serious problem. LTK: What are some of the other warning signs of depression? VP: It is also important to understand child and teenage depression can look very different than adult depression. Some kids will be mopey or unhappy. However, many kids/teens act out their depression, making it harder to spot. So, if your teen becomes nasty, defiant, and irritable, it could also suggest depression. Any behavior that is totally different from who the teen had been speaks to the possibility of depression, as well as possible drug and/or alcohol abuse. LTK: What can a friend or parent do if they or someone they know is in danger due to depression? VP: TELL. Do not play with the life of someone you love. If you have ANY concern or have been given ANY information that makes you worried about this teen, run, don't walk to a trusted adult and get your friend help. Friends and family members are not therapists. They don't know when to take things seriously or not. And they run into trouble feeling they don't want to break a confidence. However, you can't be best friends with a dead friend. And, I would rather your friend hate you for her LONG life than appreciate your loyalty while she downs pills. I have seen this happen; loyalty, promises and secret-keeping are very important, except when someone's life may be at risk. And, parents, I will give you the same advice. If you have knowledge or concern about the well-being of another child, call the parent. If the shoe was on the other foot, wouldn't you want someone to alert you if your child was in danger? As a psychologist, I am bound by ethics to keep everything confidential. However, I am bound by law to report any concern of potential harm. I encourage you to use the same rule of thumb. Secrets, yes. Danger, no. Good self-esteem is an important part of teens' healthy development, and there are many ways parents can help. Reinforcing your teen's positive behavior and talents and keeping communication lines open will give your teen some of the confidence he or she needs to succeed.